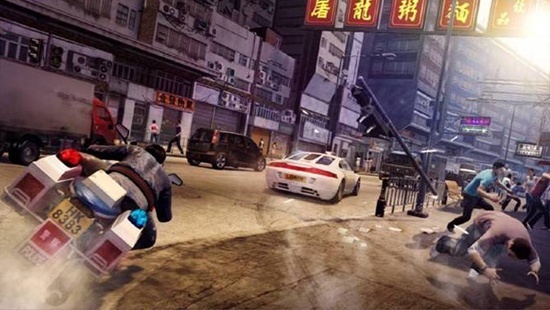 Sleeping Dogs was one of the biggest surprises for me in 2012 I knew very little of this game and after playing for around 20 hours it has become one of my favourites of 2012 so far. Now I am going to tell you how this kind of unknown game to me became one of my hits of 2012. The game features a surprisingly interesting story about the undercover cop Wei Shen who has left the United States to come home to Hong Kong to try and stop the crimes in Hong Kong. While in Hong Kong he will meet some old friends and also old enemies. While playing the story you can earn experience points in three different ways these are face, cop and triad. You have to do different things to earn points in these three areas like keeping city damage low to earn cop points, brutal kills to earn triad points and completing side missions to get face points. These points aren't some worthless addition to the game these points can earn you special abilities in all different areas. Some of the missions you may be familiar with if you have played many open world games like killing a certain person, delivering something, car chases, shootouts and others. You might also be happy to know that each mission is re playable. 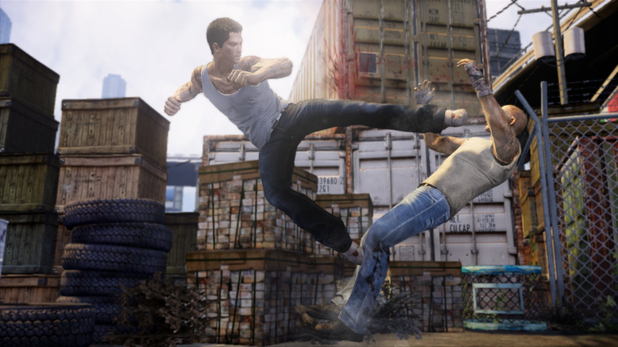 The gameplay of Sleeping Dogs is easily one of the high points of the game it features simple yet fun gameplay. The combat controls use one button for attacks, one button for dodging and one button for grabbing and that's all you really need to know it is extremely simple to pick up and play this game which is always a plus for me and other people who just want to get straight into the game. One of the great things added to the combat is the environmental grapples these can range from throwing someone into a dumpster to throwing people into fans. There are many different grapples that you can do in the game. The grapples are a very fun feature added to the combat as it makes fights against enemies fresh so instead of punching someone until they die you can throw them in a dumpster to finish them off. Shooting gameplay is also something very similar to other games as it uses the press L1/LB button to aim and the R1/RB button to shoot. There is also many different guns you can obtain and use in the game. Driving gameplay is also very easy to master in minutes and it again is simple yet works very well in the game. Some cool things I noticed while driving is the ability to dive out of the car and on to another one and enter that vehicle also when in car shoot outs you get a effect similar to the recently released Max Payne 3 which again is a pretty cool addition to the game. Once you start up the game you are handcuffed and have to play through some missions first which is pretty much the tutorial for this game but once those missions are done you can go around the city and do whatever you want. If you don't fancy playing through the main game here is some things to do, you can do side missions that will increase your face experience these side missions which are also known as favour's can be found around the city and range from chases to deliveries. You can also play poker, bet on cockfights and even sing karaoke. If you was wondering if you can get into big police chases and go on a shooting rampage well you will be happy to know that you can go on these rampages as the game has its own police notoriety system also known as the "Heat" system the more crimes you do the higher the heat will go it ranges from 1-5 at 1 heat the cops put little effort in to arrest you and only use melee combat but once it goes to 2 the guns will start to come out and by heat 5 you will have advanced cops attack you that come in heavy armored cars and use machine guns. Another feature in the game is the records that will pop up on the lower right of the screen while doing something this can be things like having a kill streak, how long you have been chases by cops, how long you have gone without crashing the car and other different ones these will keep updating everytime you begin a record attempt. The game also features the ability to buy clothes (Certain clothes has certain rewards) and also buy cars that range from slow cheap cars to fast sport cars that don't come cheap at all. There was also some problems I had with the game the first problem that came to my mind while playing was not having a button to jump it got really annoying when sometimes I would get stuck in areas and would easily be able to get out if a jump button was added to the game. The graphics while not horrible they wasn't some of the best graphics we have seen in this generation. Sleeping Dogs like I said in the beginning of the review is so far the biggest surprise of 2012 for me it managed to be a fun game that will also last you 20-30 hours depending on how much you do in the game. It was also nice to have brand new scenery in a open world game there has been many that have a similar look but this because it takes place in Hong Kong feels fresh and new. The story for me was the best part of the game because it shocked me how much I ended up liking it I thought I would be shooting cops and messing around most of the time but I just wanted to keep playing the story instead. I hope this isn't the first and last time we have a Sleeping Dogs game because I would 100% buy a Sleeping Dogs 2. Nice review! Good to know about the jump feature. Or lack there of one. Lol. Glad you touched base on teh grappling. Im even more intrigued now. I will purchase this game based on your review. In teh near future that is. Thanks for really awesome comment. 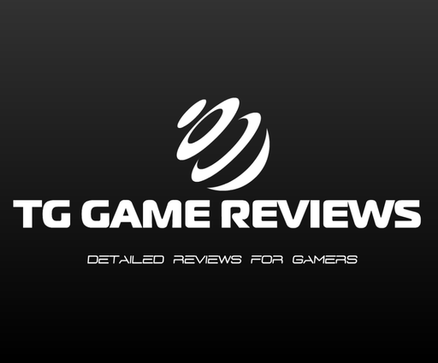 It is always great to hear feedback from people and it's even better to hear that my review has helped you decide whether to buy the game or not.